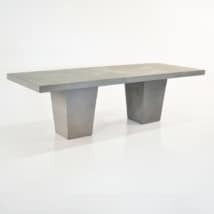 A concrete table and bench perfect for dining or spending time with friends. The raw edge and definitive contemporary styling of this 78″ raw concrete table and 74″ bench is what sets it apart from the competition. It has an organic feel and a modern vibe, which makes it perfect for the outdoors or indoors. The hybrid concrete mixture utilizes a combination of resin and concrete to achieve multiple benefits: the Teak Warehouse concrete is lighter, cleaner looking and easier to handle than other concrete products available. This particular set includes a raw concrete table and bench set. 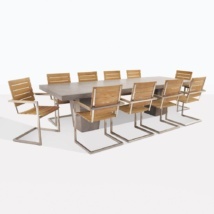 The thin leg profile on the two benches contrasts the geometrical shape of the table legs, to give an excellent contemporary take on the traditional dining or picnic set. This concrete table and bench set will be an excellent avenue to express your stylistic endeavors, while still providing for the simplest of furniture needs: a place to enjoy good food and good company. 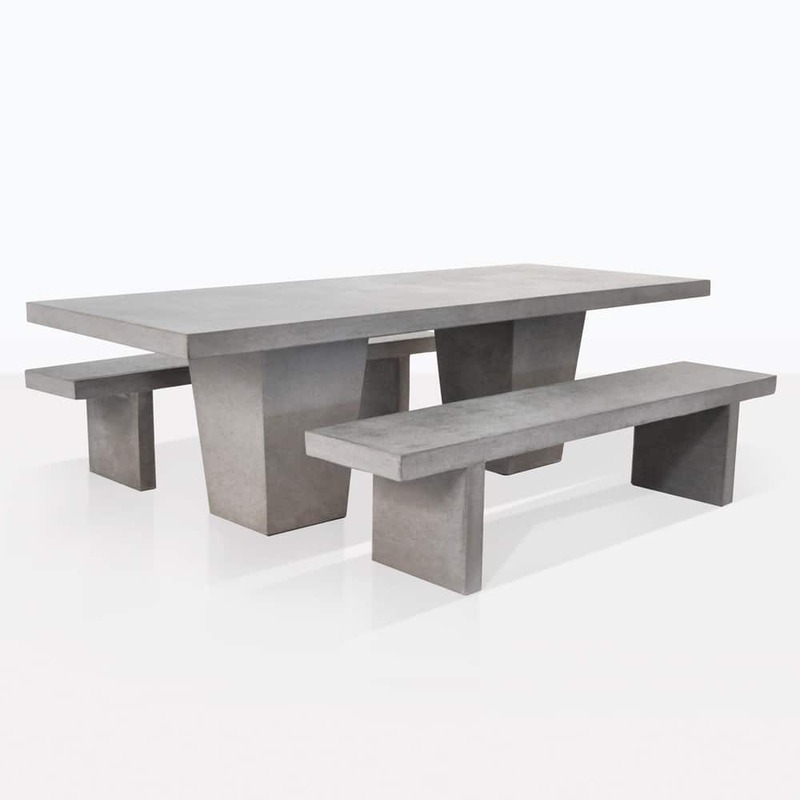 The smooth finish completes the finished aspect of this concrete table and bench set; the raw concrete color contributes a unique look to your overall décor. 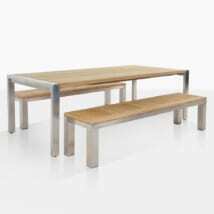 It plays well with neutral wood tones like that featured on teak. The warm honey and golden hues play well next to the raw grey slate color palette of the raw concrete we offer. 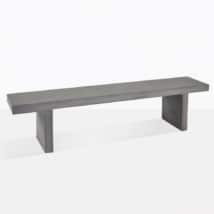 The sturdy feel of the table gives you instant peace of mind, despite the uncharacteristic lightweight of these pieces. The material mix we use allows you to move the pieces with minimal help, instead of having to enlist the help of a commercial mover or equipment. The stunning, but simple design of this concrete table and bench set is an excellent way to incorporate more stylistic flair into an area with a lot of earth tones or greens. Accent pieces on top of this smooth table surface really pop and give clarity and presence to colorful pieces. 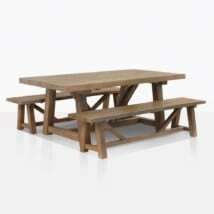 Because this piece is made for the outdoors, you can rest assured it is built to handle all types of weather and remain great looking. 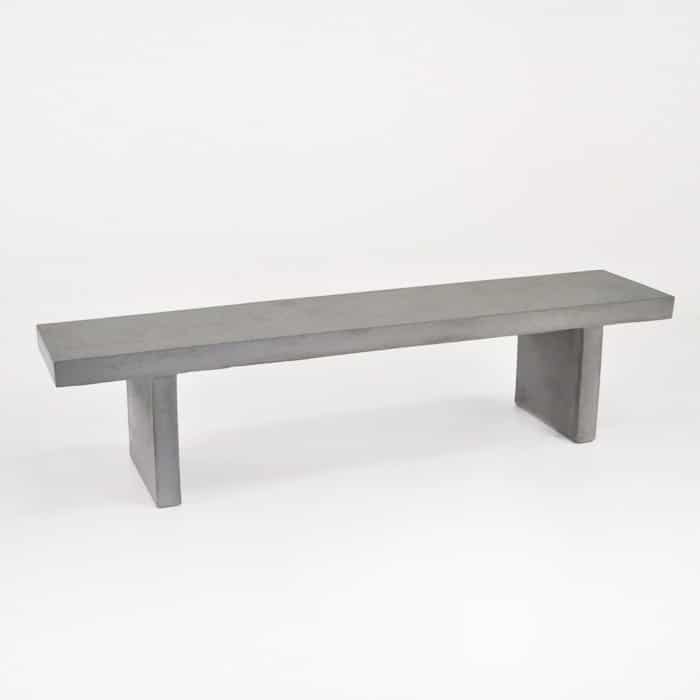 This piece is made for bold inclusion into just about any setting and you’ll be sure to get plenty of comments from friends on this concrete table and bench set.